The government Indices of Deprivation were published earlier today, including the overview Index of Multiple Deprivation 2010 (IMD 2010). The IMD is used very widely to target programmes and resources to tackle inequality and deprivation – and there are a couple of articles on our OCSI blog about the headline findings and why the IMD is still important. We are well aware of how important this dataset is for local understanding of deprivation patterns and changes relative to other areas. So the Data Packs team have been hard at work today getting the data formatted for our Data Packs users, and have already provided the data for loading straight into local information systems, with metadata, added data (deciles) etc. Also, we have started using an InstantAtlas Dynamic Radar report to visualise the data, see screenshots below (thanks to Stephen Davis at Bradford for providing his template for IMD 2007). 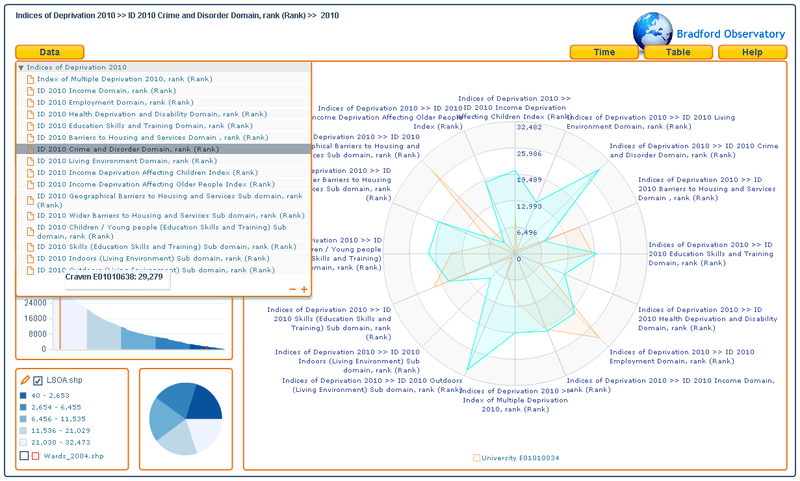 This is relatively easy to setup in InstantAtlas – create a new Data View with the IMD 2010 indicators, and then link the Data View to the dynamic report. Get in touch if you would like any help setting this up. 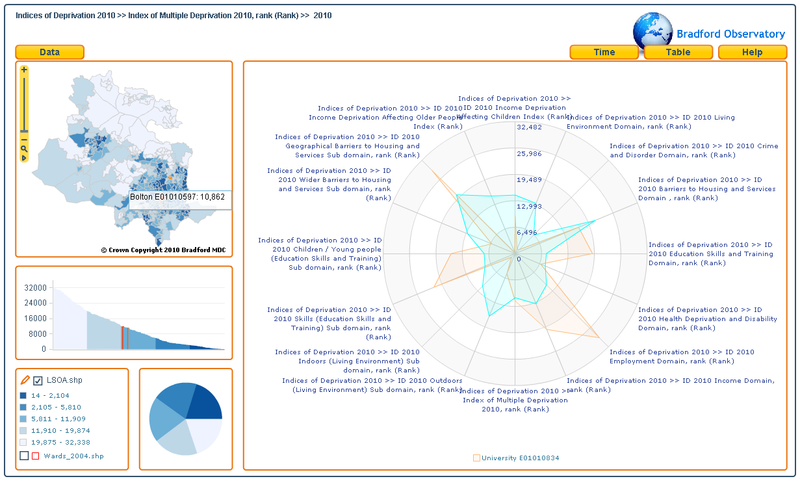 And let us know if you have any examples locally of visualising or reporting the IMD and other datasets – it would be great to be able to link to (or upload) any good examples.